Home > Miscellaneous > Nuclear war is a stupid idea ! Nuclear war is a stupid idea ! A country that uses hundreds or thousands of nuclear weapons kills a significant portion of its own population - even if the enemy does not fight back. Therefore, even in the logic of deterrence, it is complete madness to own more than about 100 nuclear bombs, write Joshua M. Pearce of Aalto University and David C. Denkenberger of Tennessee State University in "Safety." 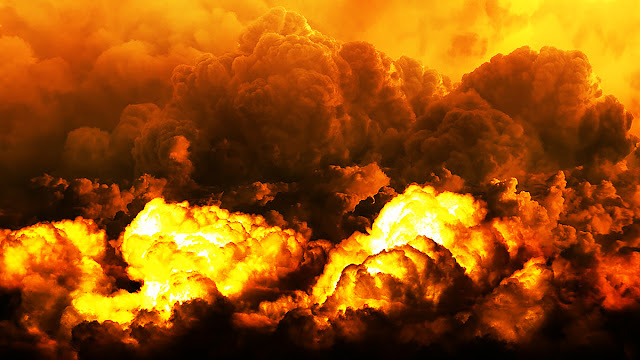 The background is the hypothetical "nuclear winter" that soot and dust from the burning cities could trigger if nuclear weapons were used in a nuclear war. According to simulations, the dust haze would prevent light and heat and endanger the food supply. The two scientists calculated the impact of a US nuclear attack on China once with the complete arsenal of 7,000 bombs, a reduced attack with 1000 bombs and a comparative mini-attack with 100 bombs. They assume that there is no counter-strike and that existing food is strictly rationed and effectively distributed. The presumably resulting food riots neglect them for their account as well as the effects of a less effective distribution or even the effects of radioactive fallouts. They are surprised at how murky the outlook is even under extremely optimistic assumptions, Pearce and Denkenberger report on the outcome. Thus, 100 atomic bombs would throw about seven million tons of soot into the atmosphere. This would intercept one-fifth of the incoming sunlight and cool the earth more than in the "year without a summer" in 1816. In addition, part of the ozone layer would disappear and global rains would be reduced. The two researchers assumed that the US could reasonably protect itself from the climate consequences of its nuclear arsenal because of its large agricultural area and resources. This proves to be wrong in their model: Actually die according to their calculations about 150 000 people in the US, the country should use even one-seventh of its bombs. In a minor attack with 100 atomic bombs, they calculate, but do not break the food supply together, so that no one starves to death. Beyond this number, they argue, the damage caused by the attack increases more than the deterrent capacity, so it is not rational to maintain more than 100 nuclear bombs. Even gloomier look at the situation with the other nuclear powers. Most of these states could not even provide their population with food in the Hundred Bomb scenario. The two researchers conclude that it would make sense for nine nuclear powers only about 900 nuclear bombs worldwide. Given the optimistic assumptions behind it, perhaps the idea is not entirely outlandish that a nuclear war anywhere in the world would cause chaos and would generally be an insanely stupid idea.